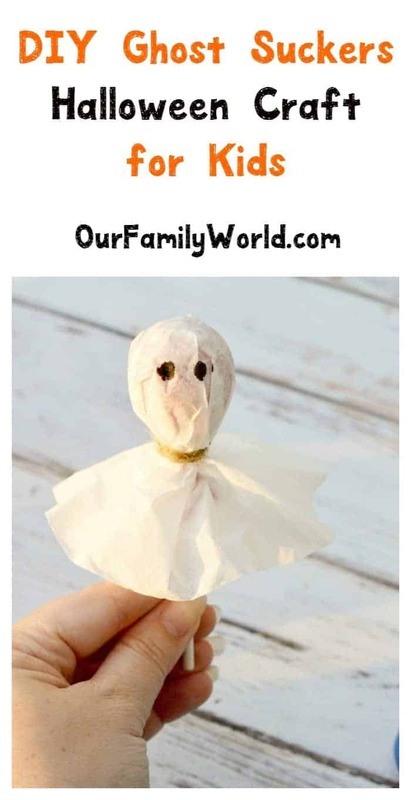 Looking for super easy Halloween crafts for kids? You can’t get much simpler than our DIY ghost suckers! They’re absolutely perfect for everything from trick or treat goodies to classroom parties! I’ve mentioned before that crafting isn’t really my thing, however, my mom and sisters are the bomb at it. I think I got skipped over on the “cool” section of things. Both my sisters and my mom are about the same height as well and I’m 5 inches shorter than all of them and have no crafting skills. What is going on?! Anyways, fall crafts are starting to roll out and kids will need to start bringing themed snacks to school and parties will need to have the same themed treats, etc. Never fear, if you aren’t Pinterest perfect like me, here’s an easy snack/craft (they function as both, wow, I know, look at me go) that will work for multiple occasions this fall. Affiliate links included below, thank you for your support! Cut a few pieces of twine and make them about 5-6 inches in length. You will need one piece of twine for each sucker. Next, take your sucker and put the top of it in the middle of the coffee filter and mold the coffee filter around the sucker. Using your twine, tie a double knot at the base of the sucker in order to hold the coffee filter in place. Use your permanent marker to draw two eyes. Fan out the bottom of the coffee filter and voila! Easy craft that makes you look like you have this life thing down. Fan out the bottom of the coffee filter and you're done! Note: Feel free to draw any faces you like. I added a dripping scared mouth to one of them so you could see how easy they are to customize. You could even put initials on one side of the ghost head and the face on the other for school functions or parties. Looking for more great Halloween crafts for kids? Check out 9 Spooky & Fun ideas! Do you have any favorite easy Halloween crafts for kids? How would you customize your ghost suckers? Share in the comments! Fun idea. 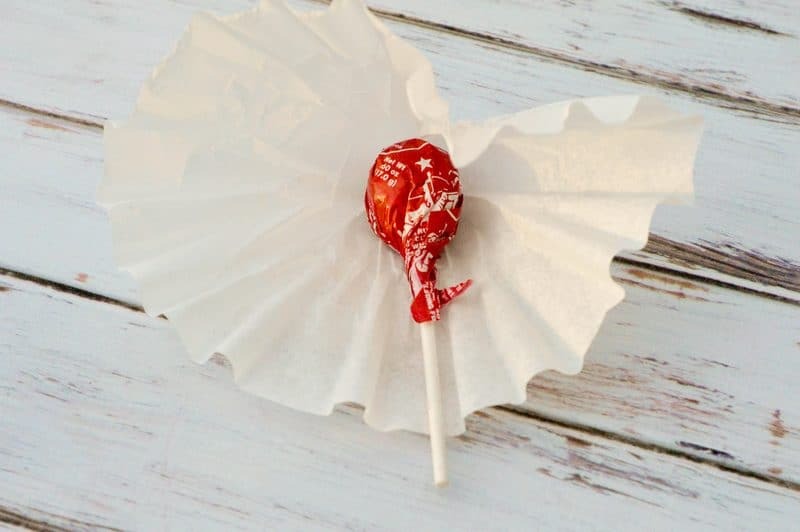 I’ve used napkins or tissues before but like the coffee filter idea. Thanks for sharing at the Monday Funday Party! i LOVE AN INNOVATIVE FESTIVE DIY! WOW THIS LOOKS SO EASY AND I CANT BELIEVE HALLOWEEN IS ALMOST HERE AGAIN! I remebermaking those ghost in school as a kid. I love this craft for kids. I love Halloween crafts! We’re throwing a costume party this year and these would be perfect for it! These are such a cute idea! I would love to hand something like this out. Oh I have always loved to make ghost suckers for Halloween! They’re such a fun and easy craft. My daughter looooves when we make them! 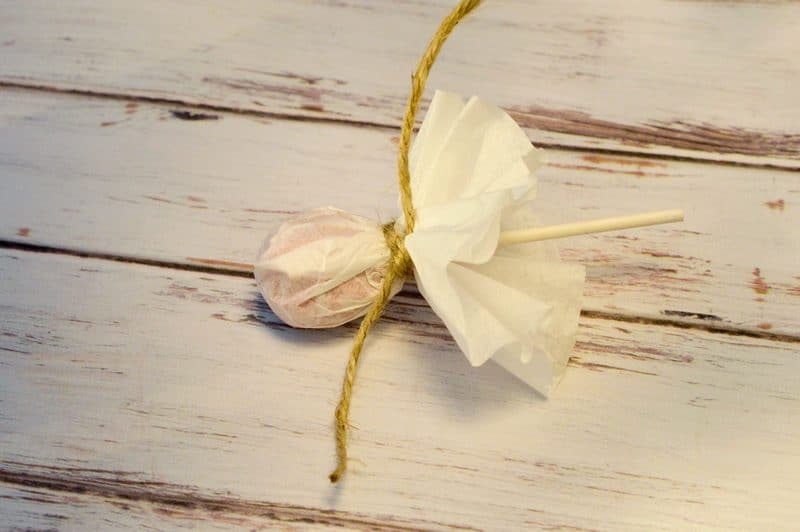 LOVE the ghost suckers and I have fab memories of making them myself as a kid! Its a classic and its cute! This is why I love it when you post crafts for kids! It’s really easy to make and it’s a lot of fun too. I think these are perfect for Halloween! I remember making something like this when I was a kid and then making them with my kids. Halloween is so easy for DIY projects. Those are so adorable. I’m totally doing that for pre-k this year. My mom made them when I was little. I can’t believe I forgot about that! This is so creative! It is unbelievable how a few simple objects can turn into something fun. Love the idea. What a great idea! 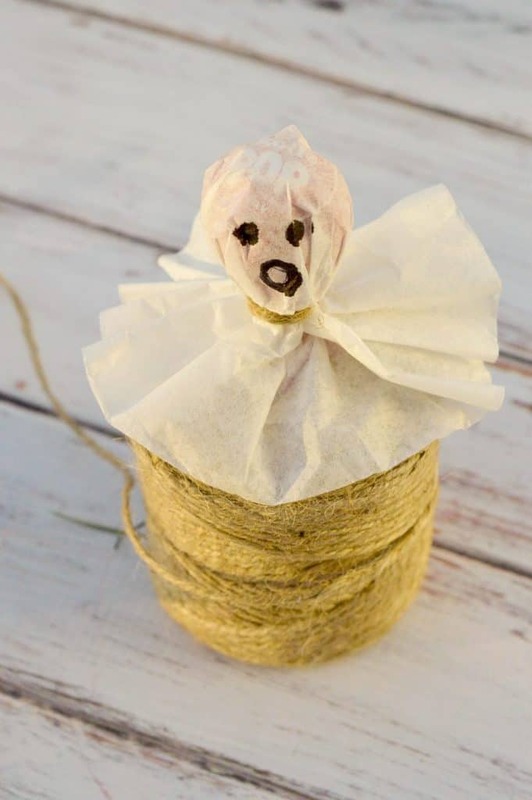 My kids are 3 years old and 1 year old and so this simple craft will be so good for them! My son is already talking about Halloween so this will totally get him psyched! I love these! I may add a few details to make them harder for my older kids to do. They will love them either way! That’s such a cute way to celebrate the season and it’s great for all the young kids too. I’ll bookmark this page! Cute suckers! I am sure that you have some craftiness inside. You just have to bring it out! 🙂 I feel your pain on the height issue. I am 5′ tall and both of my sisters tower over me! 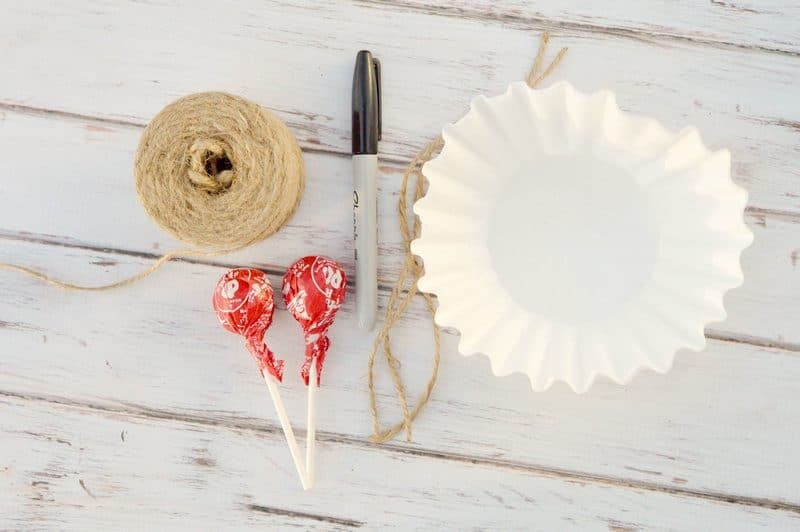 What a cute and easy craft! My preschooler would love this – will definitely bookmark to try it. Cute cute cute! Such an adorable project. I like that you use coffee filters! Fun! These are so cute! They seem like the perfect treat for my little guy to pass out during his Halloween party – and they look like they’re so much fun to make! Thank you for sharing! This is such an adorable DIY to do with the kids. I might have to do this with my babies this Halloween. 🙂 Thanks for sharing! Love this cute little project & I’ll be checking the other projects you have. I’m doing pre-k w/my youngest and I need some projects to do with her. Thanks so much for sharing.